I hope you all had a wonderful Thanksgiving and are enjoying some time with friends and family this weekend. To kick off the holidays Rob and I like to do charity work. My favorite is bell ringing for the Salvation Army. I just like being able to smile and wish everyone a great holiday. Even if someone doesn’t donate it’s a chance to spread good cheer and hopefully get others thinking about ways to give to the community. This shift was exceptionally cold and windy. Hence our sign wouldn’t stay up and the super windy looking hairdo in this picture. Wow 2000 miles! that is awesome great work. 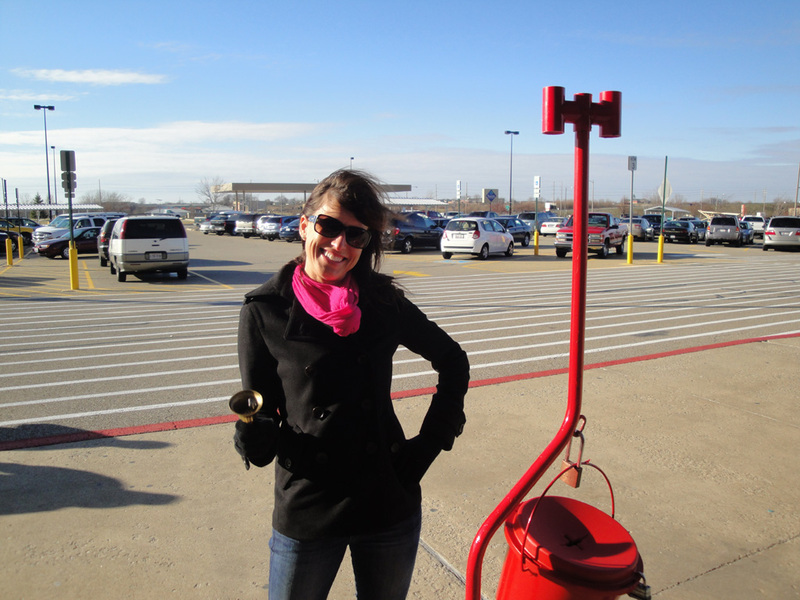 You look adorable ringing that bell. Thanks! Too bad that wind was making my hair look so gnarly.